MCTM this week! Are you going? 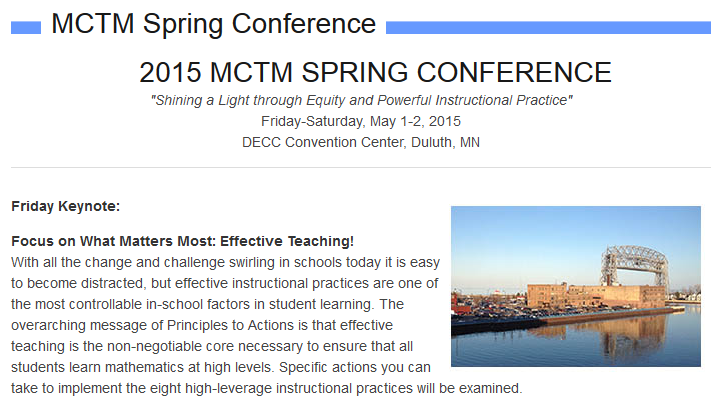 MCTM is coming up…fast! Are you going? What sessions are you looking at? I have administered the MCA test to my students already, and with all the complications with the testing platform, I was considering sitting in on a state session.